It seems like it should just work. If you set up iCloud to sync with Outlook using Apple’s iCloud Control Panel and you’ve set up Google, Salesforce, or another CRM to sync with Outlook, it should all sync up nicely – right? When you set up iCloud to sync with Outlook, the iCloud Control Panel creates a unique Outlook Folder, which it then uses to sync with iCloud. It will actually move items from your default Outlook Folder to this new iCloud Outlook Folder in order to facilitate the sync. This doesn’t really change how things look in Outlook, but it does change how things sync. Many tools that sync CRM solutions such as Google and Salesforce are set to sync with only the default Outlook Folder, with no option to change this. Because iCloud is syncing with a different Outlook Folder, these two sync tools don’t work together. Fortunately, CompanionLink is different. CompanionLink allows you to choose which Outlook Folder(s) you want to sync with. So if you want to sync Google with Outlook and iCloud, or Salesforce with Outlook and iCloud, it’s as easy as configuring CompanionLink to sync with the iCloud Outlook Folder. From there, any data synced from sources like Google or Salesforce will sync through iCloud to your iOS devices and any other PC or Mac that iCloud is configured on. For details on configuring which Outlook Folder(s) to sync with in CompanionLink, see our Configuring Outlook support article. This entry was posted in Tips and Tricks and tagged apple, google, icloud, iOS, outlook, salesforce, sync by David. Bookmark the permalink. Which version of companion link do I need to synch salesforce with i could using outlook? 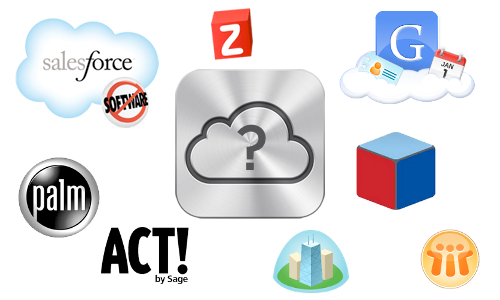 Can you assist me for integrating icloud with salesforce.com? Definitely. First – is it safe to assume you are on a PC and have Outlook installed? Yes, I have outlook installed. Can you please provide me your email?